With New York Fashion Week just around the corner, A-listers, industry insiders and shoppers alike, will be clamouring for this season’s latest trends. This season however, will have a particular emphasis on digital engagement with consumers being able to interact with the event via the latest digital and physical platforms. The event will attract A-listers, industry insiders and shoppers alike, who are all able to view a livestream of the catwalk. Consumers are immediately engaged via multiple platforms, as the week highlights how luxury brands are beginning to see the value of utilising both online and offline services to reach customers. As part of this trend, Fashion Week has made an online presence on social media with SnapChat set to have exclusive stories which follow the different catwalks, bringing the world of luxury fashion closer to the customers. While Instagram provides polished and refined images, SnapChat offers a raw glimpse behind-the-scenes of shows, allowing users to get exclusive access to top brands. 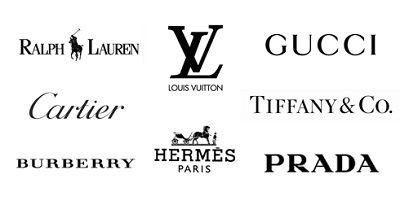 Luxury brands need to explore the value of social media to strength relationships with customers. Burberry is leading the way in this regard, with investment of over 60 per cent of their marketing budget on digital. 1 According to Contactlab’s “Digital and Physical Integration: Luxury Retail’s Holy Grail” study, Burberry is also bringing together online and offline operations, with click & collect already representing 15 per cent of Burberry’s online sales. While Burberry paves the way for luxury brands, others are still struggling to grasp the significant impact engaging with customers online and offline will have on their brands. Contactlab found in their Digital Frontier 2016 study that customers with a digital presence who are digitally contactable are high spenders in-store and account for 27 per cent of in-store revenue and 73 per cent of e-commerce revenue. With the rise of e-commerce and digital engagement tools, luxury brands have access to customer data which will allows them to create a dynamic and personalised approach which integrates people preferences within the customer interactions. Through data-driven marketing, brands are able to create a richer understanding of the customers.